What is an Articulation Disorder? An articulation disorder impairs a person’s ability to speak clearly. Frontal lisp is one of the articulation disorders. This child produces “s” with his tongue forward. Articulation of speech emerges over time, and is generally imperfect during the early stages of development. This is completely normal. However, some speech sound errors are not normal, and can indicate a problem. Articulation Disorders may cause a person to omit sounds within words, add sounds that are not part of words, or substitute and/or distort sounds when speaking. 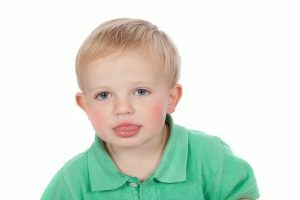 Our speech-language pathologists can determine if a child has a disorder of articulation based on his or her age. We compare the type of speech errors and the quality of the errors that the child produces with statistical norms and what is expected of the child at his or her age. The clinicians at Baron Therapy specialize in the treatment of articulation disorders through expert speech therapy. We combine research-based methods with 20 years of clinical experience to successfully provide expert care to children who have difficulty talking. We have a passion for helping children become effective verbal communicators. If a child has a speech disorder, the younger a child starts treatment the better. Early intervention can help remediate these problems to the fullest extent.